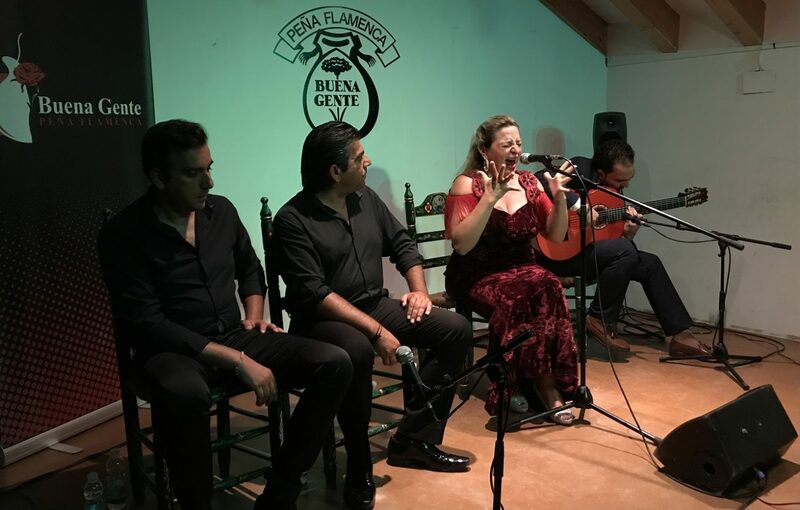 The Federación Provincial de Peñas Flamencas de Cádiz started its series of recitals last Friday at Peña Buena Gente, its presiding entity, located in Jerez, which is preparing a big program of performances to celebrate the 40th anniversary of its foundation. 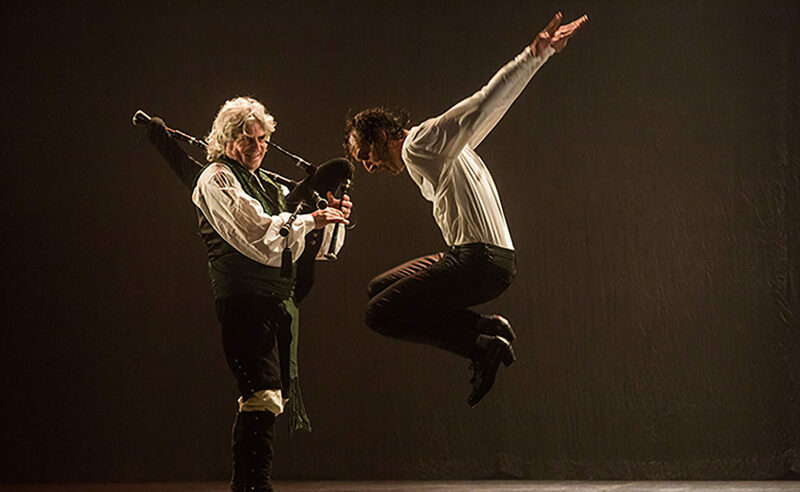 A total of fourteen performances by renowned artists will take place as part of its autumn program which will take place in different cities and towns in the province of Cádiz, concluding on October 13 at the Peña Cultural Flamenca Aguilar de Vejer, honoring Antonia Gilabert Vargas ‘La Perla de Cádiz‘. Remedio Reyes was in charge of firing the starting gun in this peña located in the San Mateo district of Jerez, accompanied by the guitar of Vicente Santiago. Remedios seduced, delighted and convinced, in that order. It was a rainy and very unpleasant evening, so the attendance in this peña flamenca wasn’t as numerous as in previous occasions, although it was acceptable in quantity and, above all, generous in quality. The sister of Antonio Reyes (and I don’t mean to make comparisons) showed her skill on the stage, particularly in the cantes which she has adopted as her own, although, as we know, in peñas the artists are expected to justify their time and their fees by performing a bit of everything (something which we disagree with), so she also performed styles that, while properly executed, didn’t quite woo the public. Her alegrías filled with color and life the charming place which promised a great evening. Remedios has been other times in Jerez as an invited guest, and now she had come as a more established artist, more professional, more solemn, better, as it’s always a good thing showing improvement and evolution. There wasn’t any break, so she alternated cantes de compás with other deeper ones, if I may say so. Her tangos are her favorite habitat and she could hardly resist the urge of getting up from her chair and dance. She moved her arms and continued. The best of the evening was her soleá, slow and at ease, communicating that enjoyment to her public. Her malagueñas, fandangos and seguiriyas were exquisite, and she spilled the essence of La Barrosa por bulerías in all corners. 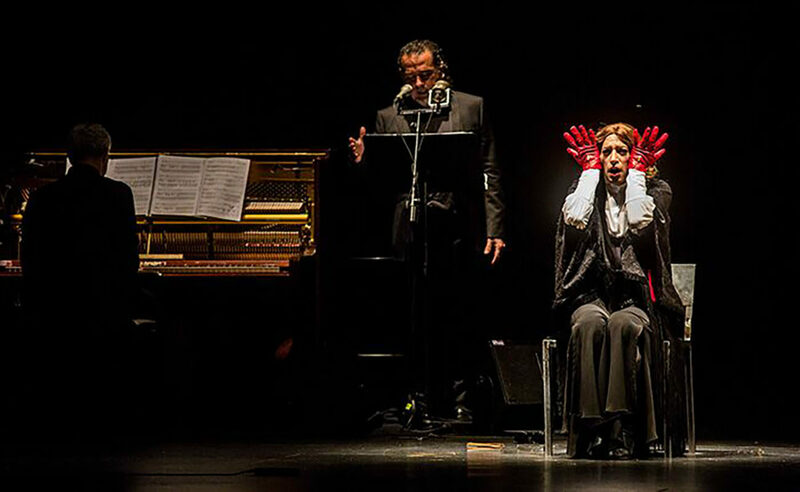 In that fiesta she evoked great interpreters such as Enrique Montoya, Las Grecas, Lola Flores and Fernanda de Utrera. 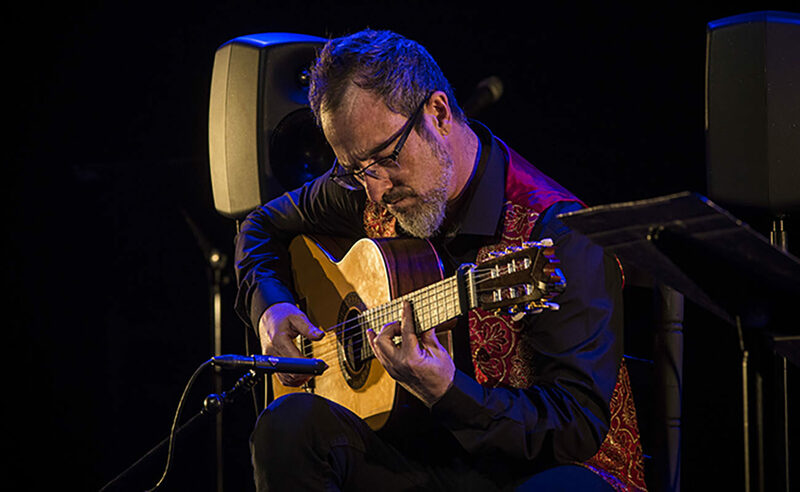 Vicente Santiago at the guitar played the right time in each cante, evoking Manuel Morao and surprising the public with his great artistic quality. 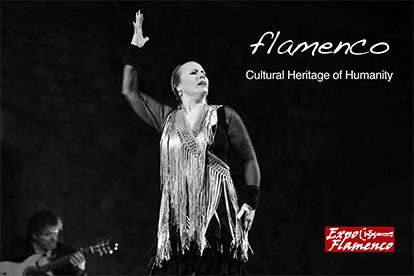 Juan lara and Nono Reyes will perform on Friday, September 21 at the Centro Cultural Flamenco Don Antonio Chacón in Jerez de la Frontera.